October was many things. It was about eagerly waiting for fall, falling and getting up (literally), and a surreal moment of seeing a college friend after many (very many!) years. October was obviously Halloween. 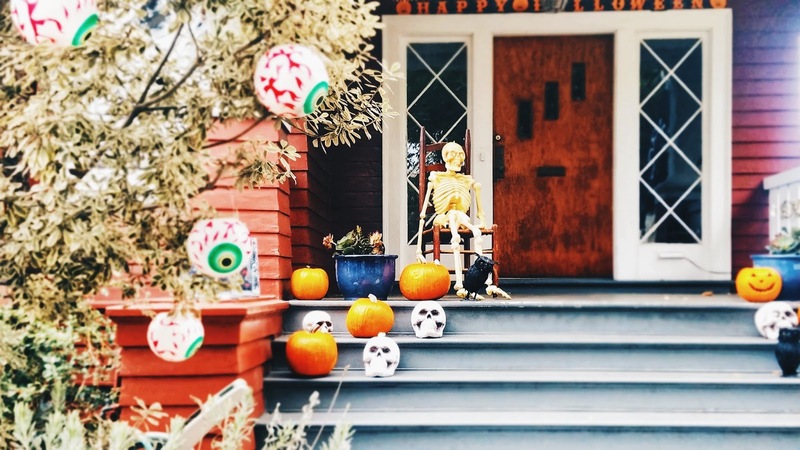 Among of the lovely things I love about October are pumpkins everywhere, and walking under the street lamps while being surrounded by Halloween displays in my neighborhood. It is hard to imagine that there are so many kinds of pumpkins including fairytale pumpkins (like Cinderella's) which are my faves. My phone is filled with pictures of pumpkins, Halloween decors and fall from department stores, houses and the farmers market. I enjoy scrolling through these pictures and they instantly bring me to a cozy place. It happened one Friday evening. Mr Sweetie was on a business trip. I was giddy with the possibility of "me time" as much as I love being with my man. And it was a Friday which meant no work the following day! After work I went to the San Francisco Shopping Center and bought autumnal candles and pumpkin spice and cinnamon wall plug ins for the house. I also went to Crate and Barrel and bought a tiny Halloween cauldron for BFF. I was happily walking home in the dark when ---- I fell! With my hands holding two shopping bags, I hit the sidewalk pretty bad. I hurried home and found my face bleeding, my lips busted, my knees also bleeding and wounded, and my front teeth chipped! My head was also hurting. I cleaned myself up but did not call Mr Sweetie as not to alarm him. I finally told him the next morning. After my fall (I am not talking about autumn :/), I could not really go out except going grocery shopping early in the morning. At this point it just looked like I had Botox which was actually quite cute. (Until my lips blew up like a balloon!) I spent the weekend cooking in the kitchen to try new recipes that I have been wanting to try. I made steamed pork dumplings, Dragon Noodles and baked puffed pastry topped with pasta sauce and cheese (like pizza). Sadly, the photos of the dumplings and puff pastries got deleted by accident! Both turned out delish and the recipes are keepers. I am happy that I got to "cook new recipes" which I can now cross off my Mason Jar List. I got a call from a college friend on morning at work. She and husband were visiting from Texas. The last time I have seen her was a lifetime away. Now her children are the same age as we have last seen each other -- just mere kids. She did start out really young and I was one of her bridesmaids during her wedding. They came to see me at work that afternoon, and we spent a very short but sweet time together, just less than an hour. It was really nice and I do hope to see her again next time. A forgettable Japanese dinner at Ginza in Oakland's Jack London Square where I had Tempura Udon and Mr Sweetie had sushi. Yelp reviews gave this place 4 Stars but it was meh. 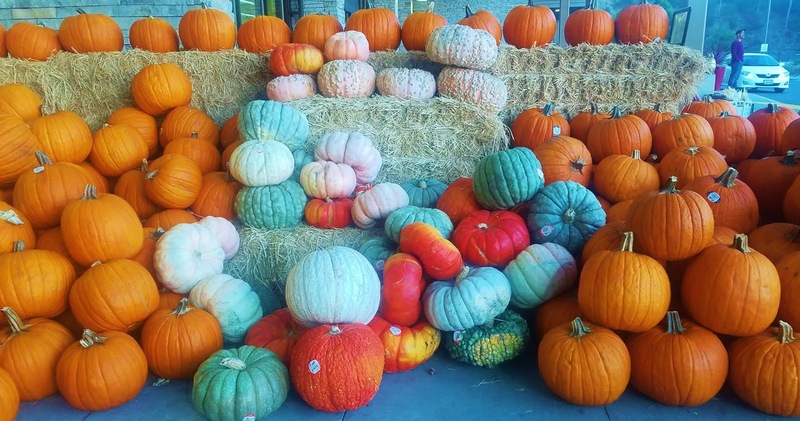 A super-fun weekend road trip that brought us to an awesome Pumpkin Patch! (See my photos here of pumpkins galore and hayride.) First we had a delicious brunch that included beignets. A lovely lunch with my brother and sis in law after church. They fed me okoy followed by espasol that my brother made. Just like me they like to experiment in the kitchen. And they are great cooks! It was food coma as always! My October came full-circle when I got to see BFF during one of lunch time "coffee" escapes. Usual venue at the SF Shopping Center with under the lovely dome. 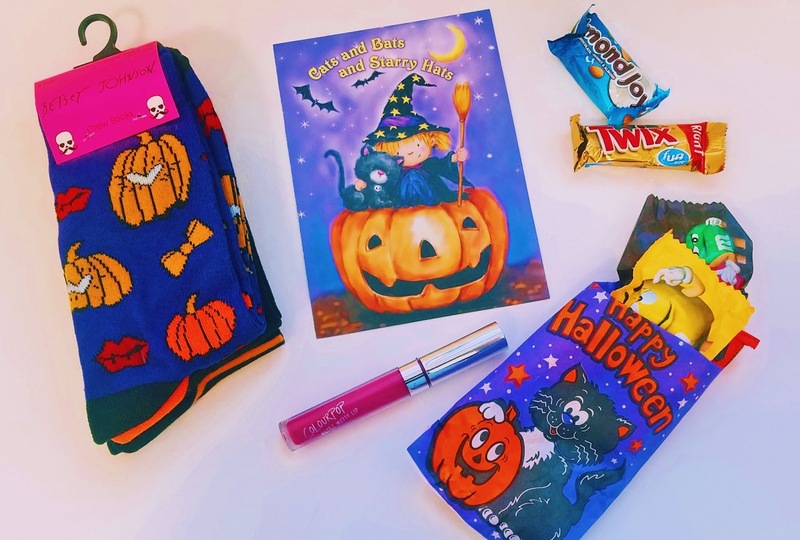 As always it was so nice to catch up about life and she gave me my Halloween goody bag which was full of the sweetest treats -- chocolates, Colorpop lippy, the cutest Halloween socks! I am so spoiled! 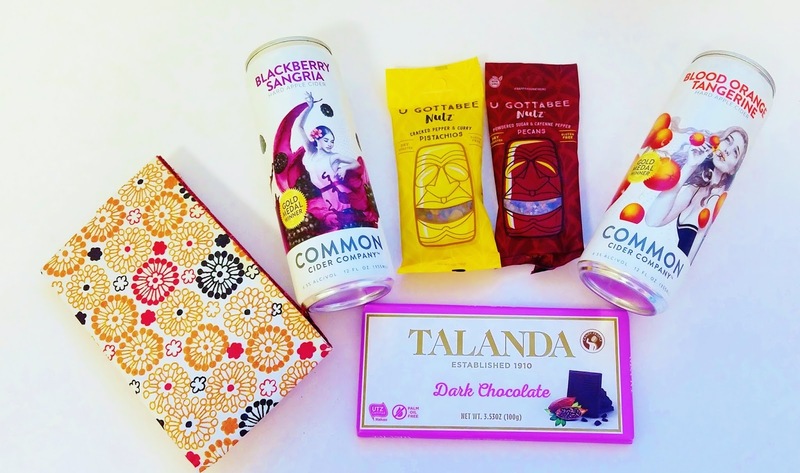 Check out our Fall Wish List here. We got to see each other twice this month! As always I eagerly awaited Halloween but also did not want it to end. It spent Halloween at work which is never-ending fun! The evening is as it is always traditionally spent which is watching scary movies while waiting for little trick or treaters. I wrote about it here. The blessings of harvest -- My kitchen was overflowing with freshly harvested vegetables from my uncles urban garden which my sister in law shares with me. I had zucchinis, squash, peppers and bittermelons for days! The opening of BiRite Cafe close to work. I often find a box of pastries in our staff suite. October brought so many blessings. I am truly thankful that the Lord has kept me safe despite the accident. I am grateful of the love of my family, BFF and friends.